The last few photos from the show are a mixture of brands. This trio of lovely ladies thoroughly entertained the crowd. 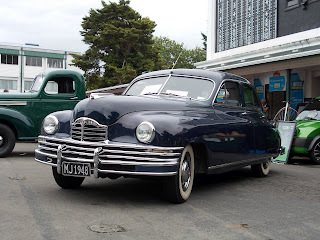 The 1948 Packard has a hunchback look and is quite similar to the 1948 Nash on my blog on the Americarna in Masterton last year. A 1985 Excalibur 2 door Phaeton is the car to own if you want to stand out. 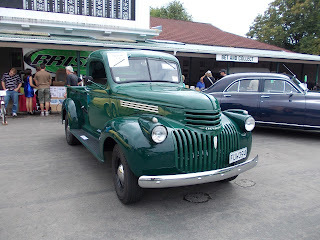 Built in thick fibre-glass and powered by a 5 litre Chevy. 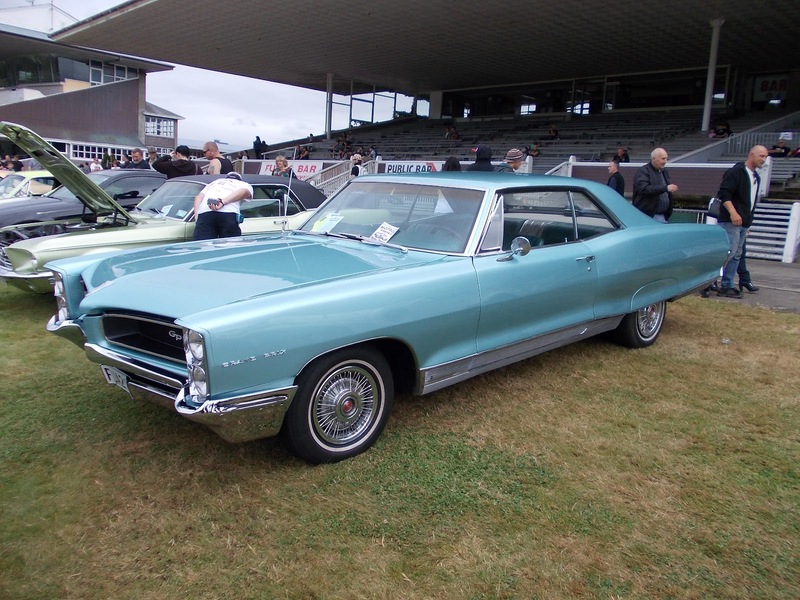 1966 Pontiac Grand Prix looks to be stock standard and huge. 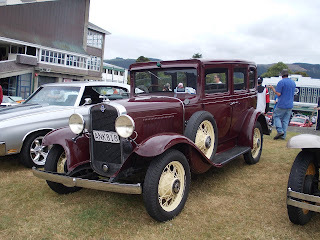 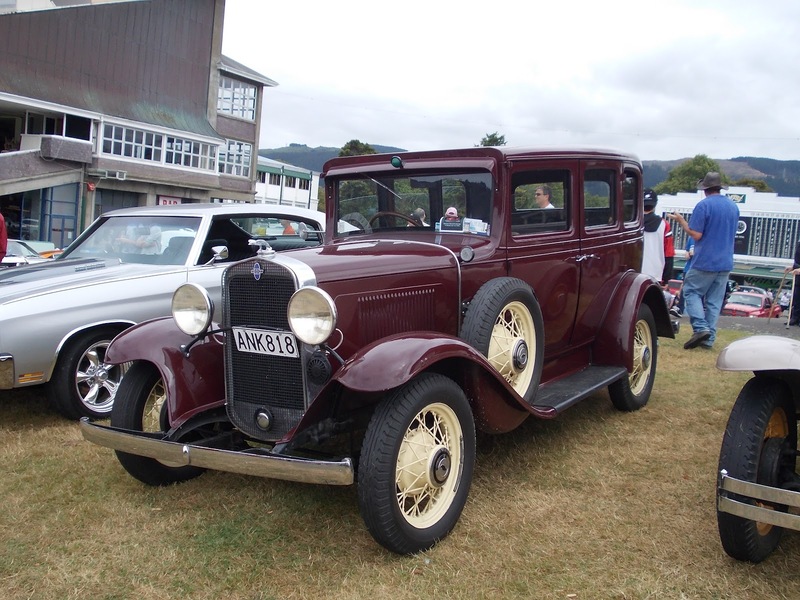 At first glance I thought it was another Model A, but no it's a Chev Wentworth from 1931. A Chevy pick-up from 1946. 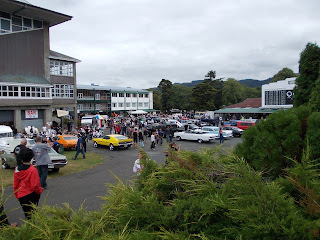 An overview of less than half the attending vehicles. 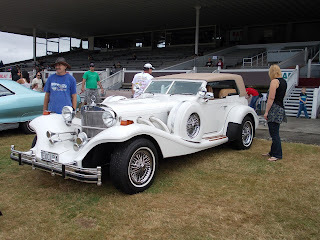 The rest were behind me.